How can we find God? That’s an impossible question to answer, and to make considering an answer more difficult than it is on the surface, God does not, indeed cannot, have a place such as a material being like you and I must have. As to make up, God is spirit and not flesh. So, where is God? Victor Hugo has Jean Valjean, in Les Miserables, say, “To love another person is to see the face of God.” Early Christians, many of them, and many of their successors down to today said/say that if one wants to see God, the solution is simple: look at Jesus. For the most part, Jews, Christians, and Muslims; which is to say, the monotheists; have taken God to be up there somewhere, far removed from human experience. “For the most part,” I said. Theologians, some of them, compensated for God’s presumed distance from human beings by creating a doctrine called omniscience, meaning that wherever God may be, at whatever distance, God still knows exactly what is happening to us right where we are because God is, after all, God. Eventually, a companion doctrine developed called omnipresence, meaning that God is in all places, at all times, simultaneously. When Eve and Adam violated the edict of Eden by using their nifty juicer to create an ultra healthy fruit juice breakfast beverage, the ancient storyteller says God Godself came to them to confront them and to spell out the consequences they’d face for violating the one rule that God had told them was inviolable. The mythologist took for granted that Eve and Adam would have known God’s dwelling place was above the heavens, which I often remind us should be translated “skies.” In this case, however, the God who had envisioned humanity’s limitless joys and successes in their paradise on Earth would be the one, not a go-between, to describe the consequences of their disobedience, which was tantamount to trying to gain sufficient knowledge so that they wouldn’t need God in the picture at all. It’s interesting to notice two facts in this story–one, that God came directly to Eve and Adam as I’ve mentioned; and two, God made very little noise brushing in and out of the lush greenery in which they were kinda sorta hiding. Jump over one book in the Hebrew Bible, to the book of Exodus, and the picture is completely different. God is going to give Moses the Ten Commandments for the use of all Hebrews, but God will come down from the aloof divine quarters to the tip top of Mount Sinai. God would not speak to the whole crowd of people, not even to two of them; but just to one, Moses, on behalf of the whole nation. When God arrived on Mount Sinai, and this is in contrast to the the quietness with which God entered Eden, God didn’t just slip quietly into the place chosen to speak to Moses; instead, there was lightening, thunder, and Earth tremors. One part of the story of God’s giving the Ten Commandments had God inscribing the ten words with God’s own forefinger directly onto a couple of stone tablets. After that, not only were the words taken to have been divinely inscribed important to the Hebrews, at least in principle, but also the tablets themselves–even after they were broken, the stone tablets I mean and not the commandments themselves. Either those tablets that became stone fragments or a set of duplicate tablets were so special to many of the Hebrews and such a powerful reminder of divine interaction with humanity that the Hebrews built a special container for them and carried them wherever they wandered; being nomads they wandered a great deal. When some of the Hebrews settled and got themselves a king and a magnificent immoveable Temple, that special container for the stones on which the Ten Commandments had originally been written was called the Ark of the Covenant, and it was put permanently by intention, in the most sacred spot in the whole huge Temple, the holy of holies. The people believed that God was more fully present there than anywhere else in the Temple, but clearly God was in the Temple; and when God was in the Temple God couldn’t be anywhere else. 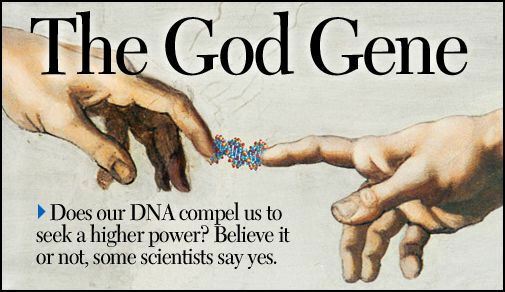 This is one way to make sure you always have your deity with you…or not! You may know of the ancient Hebrew so-called prophet, Jonah. Jonah loved the idea that God was limited in terms of presence to the Temple because there came a time when Jonah wanted to run and swim as far away from God as he could so he counted on having left God behind when he departed Jerusalem where the Temple and the Ark of the Covenant were. I have to toss you a little spoiler. Jonah is beyond disappointed when he finds out that he and his sister- and brother-Hebrews were completely wrong about the limitations of where all God can be when. In Paul’s first of four letters to the Church at Corinth (that we know about so far), he hits us with a daunting identity review. He says that our bodies, each person’s body, is one of God’s several temples. The somewhat unusual subject comes up twice in what we now call the book of 1 Corinthians, once in chapter three and once in chapter six. In chapter three, Paul is dealing with yet another church squabble. As best we can tell, Paul dealt with more squabbles at the Church in Corinth than any other church for whom he provided leadership. Every church that survives, for a little while or a long while, has to have a reason for being. Some churches survive for high and lofty purposes such as the desire to serve those who are in need. Others survive for less than lofty reasons; some survive to squabble. This is a shame, and the humiliation of it should cause any church holding onto its existence for one more brawl to gather a little dignity and close down. Sister Maureen Conroy is a nun, one of the Sisters of Mercy over in Neptune, New Jersey. Her specific ministry is to serve as a spiritual director. Sister Maureen believes that the longest journey any of us will ever take is the journey inward. It’s a rough, rigorous journey, one that would be easy enough to skip for something more fun and less demanding; however, to refuse to take the journey inward means that we will end up at a place of indescribable loss because unless we take our journey or journeys inward, we will never find God; we will never know God. That strand of Christianity that, for all practical purposes, would have us hate ourselves–any part of ourselves, for many reasons–is glaringly out of step with this glowing human affirmation. I may need to go to some dark corner of this city or of the world to bring God’s love to people and places it has not been presented or discovered, but I don’t need to move an inch from where I’m now sitting or standing or napping to find God. God is within me–certainly not all of God, but a spark at least. At various times in my life, I’ve thought that God is at church, especially in the sanctuary and the pastor’s study, at tables where peace treaties are signed, in self-defining moments such as looking into the eyes of one of my children at birth or as soon after birth as the nurses clear away birth mucous so that our eyes could connect. When I was a kid going to church camp for boys each summer, I thought God was at Camp Ba-Yo-Ca in the Smoky Mountains. I have thought I heard God in music. I have thought I saw God in art and/or color. I’ve thought I saw God at work as a nurse or doctor or a dear friend tended to the physical needs of someone ill or dying. One day it dawned upon me that there was only a single common denominator in those varied circumstances spanning yeas and scattered from hither to yon geographically: me. No biggie, no brilliant theological insight. Of course, I was the one observing and/ or experiencing in each instance. What I didn’t catch, though, was that it all went much deeper than I could absorb. I could see God and/or feel God in those disparate situations because God was within me helping me have a God-perspective, if you will. I do not believe that because God is within each of us that any one of us is a deity. I do not believe that the divine spark within each of us ever gets confused and thinks for a while that it’s human. I do not believe that as Jesus lived on this planet, he was God pretending to be human. I think he was human, and God was within him, just as God was, is, will be in every human being since that is part of what it means to be human. It is not a special gift; it is a standard gift. We know that most of what Jesus preached and taught had to do blatantly or subtly with the Empire of God, the rule of God–in King James lingo, “the kingdom of God.” What we are not nearly so clear on, though, is how Jesus thought of himself and his contemporaries in relationship to when and where the Empire of God would be fully revealed and, therefore, would fully dominate the world as a whole. There remains a fair amount of disagreement on this matter among that collection of scholars who devote practically all of their scholarly pursuits to studying the teachings as well as the life and times of Yeshua bar Yosef. Since there generally is a temporal element to it, you might well imagine the most frequently considered and discussed options. Some scholars say that the Empire of God was entirely a futuristic state for Jesus and, by the way, for us. He awaited and anticipated as do we the spiritual defeat of all present earthly powers and their replacement with rules and standards established entirely by God’s principles of unconditional love for all and, with that, unconditional affirmation of the dignity of every person on the face of the Earth. Just as there is no such thing as a “Christian nation” since everyone who commits to Christian principles must do so individually and of her or his own volition, so also there is not any Rule or Empire of God forced on someone who chooses to live by standards other than those upheld as preferable and normative by the ones who insist that they understand God’s directives for how humans should live in every situation that comes along. Even a society, yeah a world, of people each of whom has God within will not agree on every point of theology or understand what life is like for those who have had very different experiences than they. An awareness and an affirmation of God within is no indication that we own or control God. We don’t, and we won’t. Nor is it an invitation to take God for granted. It should be a fact that unities humans, never something that divides us. Also, knowing that God is within us means that we need not spend our lives trying to figure out where God is. We may still fear the Divine and keep our distance from the God within; we may, in contrast, use this knowledge to enhance how we pray and meditate and certainly how we conduct ourselves. Even so, God is with us in every success and in every failure. God is with us at every celebration and at every ritual of tragedy. God is with us when there is much to say and when there are simply no words at all. Heading out in search of God is a waste of time and energy–unless we are seeking a quiet place to concentrate and commune. “O, Love that wilt not let us go, I rest my weary soul in Thee.” Finding God means opening ourselves to the God who has been in us since we breathed our first breath and who will still be there when we breathe our last. Incidentally, do you have any idea of who in the Western World least fears death? The correct answer is: those who have the strongest belief in a non-hellish hereafter. Death is one of the many experiences that many people fear, but death is by no means the only experience many fear. And add to the list, things. It isn’t just experiences that people may fear. My own observations of what many people are afraid of: being wrong, committing a fashion faux pas, swimming out of one’s bathing suit, being caught believing that a tweet is a sound a bird makes, knowing that right this second is the latest you can possibly wait to have that conversation about the birds and the bees with your child. Fear, really, is nothing to laugh at. It can paralyze, but sometimes we poke a little fun to ease the discomfort–never, however, laughing at the person who is plagued with the unwanted fear. Some of the most common fears appear to be fears of: demons and ghosts, cockroaches and spiders and snakes, heights, water and tunnels and bridges, enclosed spaces, needles, social rejection, failure, and public speaking. Some folks may be quite comfortable speaking socially and informally, but when the speaking becomes public speaking, fear grips them in the form of suspicion over whether the words they speak will be correct or incorrect, sensible or senseless since their hearers, they believe, listen to them only to be able to judge them. One of my former colleagues at Wilmington University who taught speech, as I did for many years until I opted for Humanities courses only, used to love telling his students at the first meeting of every new course that some people–according to solid evidence–fear public speaking more than death. He was a great teacher so I want to be clear that I’m not criticizing his practice, but I began to think about what students who had significant fear about public speaking might think when they heard that bit of info. Could it not exacerbate one’s fear to know how powerfully and routinely some people dread it? One researcher built a top ten “fears list” based on how often there were Internet searches on these items and experiences as fears. This is what he came up with, and let me encourage not to fear that your deepest self will be revealed to the NSA on the basis of what you search for on the Internet: flying, heights, clowns, intimacy, death, rejection, people, snakes, failure, and driving. In 2005, the Gallup people conducted a survey involving exclusively 13 to 15 year olds. The surveyors asked the young teens one simple question. It was completely open ended, no suggestions for possible answers mentioned. The subjects could say whatever they wanted in giving their answers. The top ten fears were, in order: terrorist attacks, spiders, death, being a failure, war in general, criminal or gang violence, being alone, the future, and nuclear war specifically. That’s a heavy load for young folk, huh? There are pages and pages of information about names for every imaginable phobia. Working with tens today, here are ten of the more frequently acknowledged phobias. Some of these were mentioned in previous lists I gave you today. Acrophobia, a generalized fear of all heights so it’s not the same as aerophobia, which is a fear of flying in planes, helicopters, air balloons, and, I’m sure, spacecraft. A common symptom for this phobia is dizziness; the higher you go, the more dizzy you become. Claustrophobia, a fear of enclosed spaces or of not having enough personal space in any kind of crowded situation. I think I have a touch of this so I told the technician in Baltimore that she could not put me all the way in the MRI tube; parson my overly technical word choices. I explained that I could manage as long as my head or face weren’t in there, and I thought that since they were looking for causes of leg pain that thankfully don’t exist any more. She smiled and nodded sympathetically while she proceeded to put me all the way into that contraption. In a panic, I reached out, grabbed the top edge and pulled myself out. She started screaming at me about breaking the machine. I yelled right back at her for trying to pull one over on me and walked out. Then she ran out to my car screaming about my not paying my copay. Thank goodness for open MRI machines! The pains dissipated after a couple of rounds of physical therapy. The fear, though; the phobia did not go away, and I realize that someone else has a phobia that I may not understand, but that creates exactly the same kind of fear in her or him. Nyctophobia is the fear of darkness. Ophidiophobia is the fear of snakes, and those who read the book of Genesis literally may have a redoubled phobia over snakes or serpents. Those plagued with this phobia aren’t only afraid at the physical sight of a snake, but also conversation about snakes or pictures of snakes. Arachnophobia, the fear of spiders. As you now know, this is one of the more widely experienced phobias. Little Miss Muffat was an arachnophobic. Trypanophobia is the fear of injections and the larger needles for drawing blood. Astraphobia, the fear of thunder and/or lightening. Adults as well as children who are astraphobics tend to protect themselves from thunder and lightening by getting into rooms where they can neither see nor hear these effects of storms. Nosophobia is the irrational fear of developing a specific disease. Hypochondria is a generalized fear of illness that may, as you know, present itself through a fear that the person is ill or about to become ill.
Mysophobia is the fear of germs. Purell anyone? Triskaidekaphobia, a fear not of the number 10, but the so-called unlucky number 13. Triskaidekaphobia may be related to hexakosioihexekontahexaphobia or fear of the numerologically symbol of abject evil in the book of Revelation, 666. Some fear is healthy fear. What we’re going for, I think, is no unnecessary fear and no incapacitating fear. The fact is, there are some things we should fear, things that are actually threatening to our lives or to our well being otherwise. There are some things we should not fear and some things that we cannot help fearing given our instincts, our experiences, our emotional makeup. Taking advice from Scripture or other sources advocating against fear across the board and implying as we do that fear is never justified or necessary is doing ourselves and others to whom we may speak a great disservice. It’s like telling people if they’re strong enough they should not grieve loved ones who pass out of this world. Giving such advice or trying to live by it ourselves is mind bending in the worst possible way, and it does great emotional harm to people who try to live accordingly. 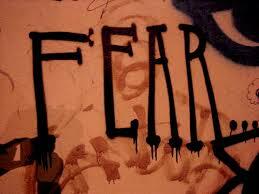 …fear is something we’ve all experienced and most of us would label as a negative or uncomfortable emotion. In reality, it generally comes to protect or alert us to potential danger. It heightens our sensory awareness of everything that’s around us so we can be poised to protect ourselves from anything threatening or harmful. At end of our Gathering, we will be singing hymn words by Paul Gerhardt, translated into English by the founder of the Methodist movement, John Wesley. When we sing it, let’s do so not assuming Herr Gerhardt was trying to tell us to live without fear altogether, but rather that he’s telling us in the face of fear to be courageous and smart and proactive as best we can. how wise, how strong this hand. There are reasons to be afraid. Those 13 to 15 year olds taking the Gallup poll hit on some of them: terrorism, gang violence, and nuclear war. Smart kids. There’s a current survey of the cities in the United States where citizens are most afraid. Thankfully, for now the northeast and the mid-Atlantic are spared, but that shouldn’t make us less concerned about the safety of the citizens of these ten cities–starting with number ten and moving up to number one, the city in our country where citizens are most afraid. Should we have a special delivery message sent to the mayor of each of these cities to share with her or his constituents, telling them that they shouldn’t be afraid? Uhm, right. St. Thomas Aquinas wrote about the “vice of fearlessness,” the vice of fearlessness. Scott Bader-Saye upon analyzing the thinking of Aquinas on this issue presents a three-point list of ways people can achieve fearlessness, and not a one is good. “The security of detachment,” which refers to the process of training oneself to love nothing enough to fear its loss. Rather than living with the fear of being hurt, persons build walls and protect their hearts from all potential pain. “The bliss of ignorance,” recklessly ignoring danger or threat. Think Evel Knievel. “The pursuit of invulnerability,” aiming to become so powerful that threats are either insignificant or impossible. If one becomes powerful enough, she or he can literally destroy all present as well as potential threats. Courage lies not in a lack of fear, but in acting–without endangering ourselves, if possible–to alleviate the threat or to take some action making it is no longer a threat. And I don’t mean just changing your attitude toward the threat. Posted in DE, Dr David Albert Farmer, Sermons for Progressives and Liberals, Silverside Church, Wilmington | Tagged Fear, Fear is a Negative When It Incapacitates, Fear of the Number 13, Fear of the Number 666, Most Common Phobias, the Necessity of Fear, What 13 to 15 Year Olds Fear Most | Comments Off on What Are You Afraid Of?